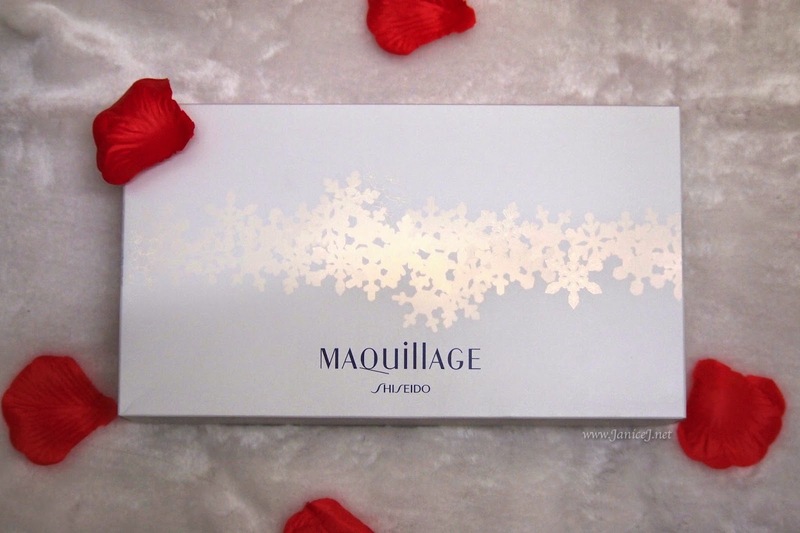 I've been eyeing the Shiseido Maquillage Snow Beauty set since the news is out. Is anyone with me? After a long wait, I finally got it on my hand. 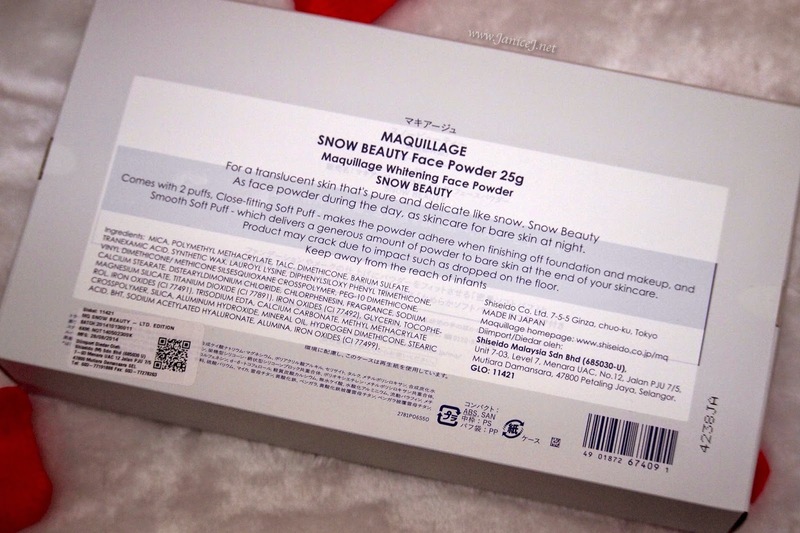 The Snow Beauty collection is part of the Shisheido 2014 Holiday Collection. 2014 is a year of snow, don't you think so? After all the Frozen waves, here comes another collection with pretty snowflakes theme. 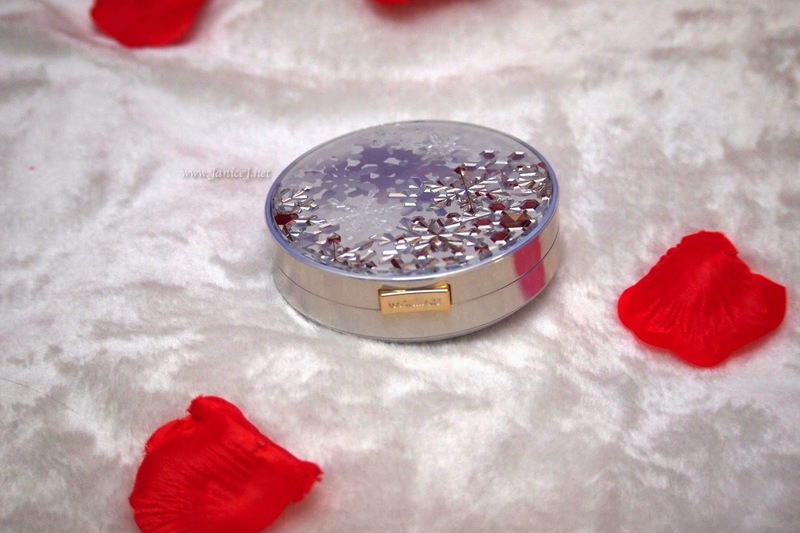 Other than the attracting and much fantasy outlook, the 25g Whitening face powder acts as a skincare for your skin. You might notice how I categorise it as skincare as well as makeup. 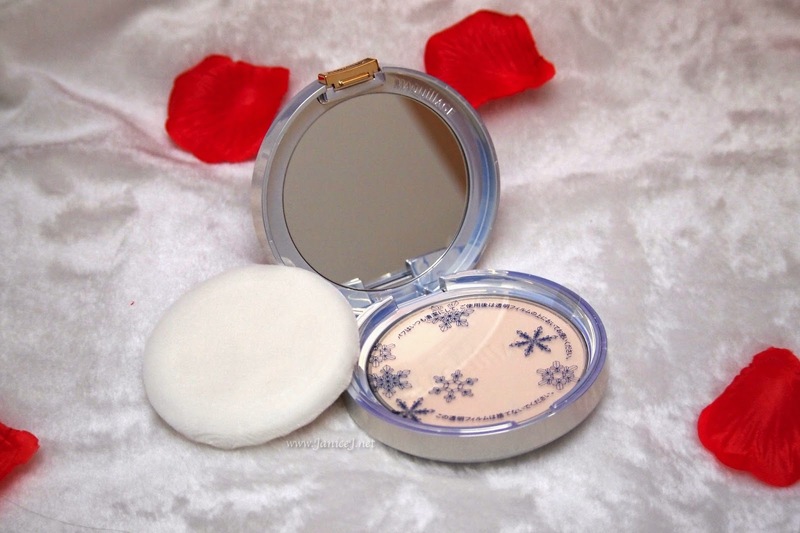 The face powder acts as setting powder for your day, and a skincare powder for the night. You can use the close fitting soft puff in daytime to make a final touch up for you makeup. 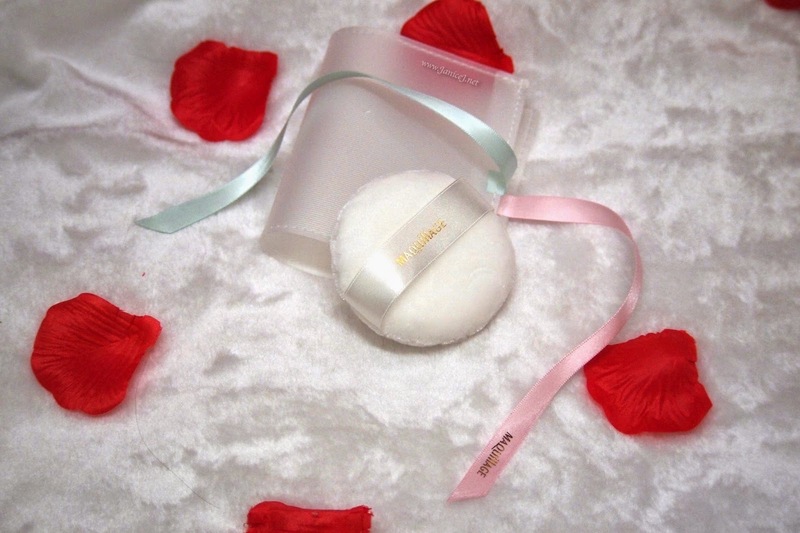 It includes another thicker puff which they call smooth-soft puff that will be able to catch more powder for night use. However, the thicker puff will not fit into the compact powder so there is another pouch for you to store it. The set is from Japan so there's english instruction provided in case you can't read the instruction card inside. 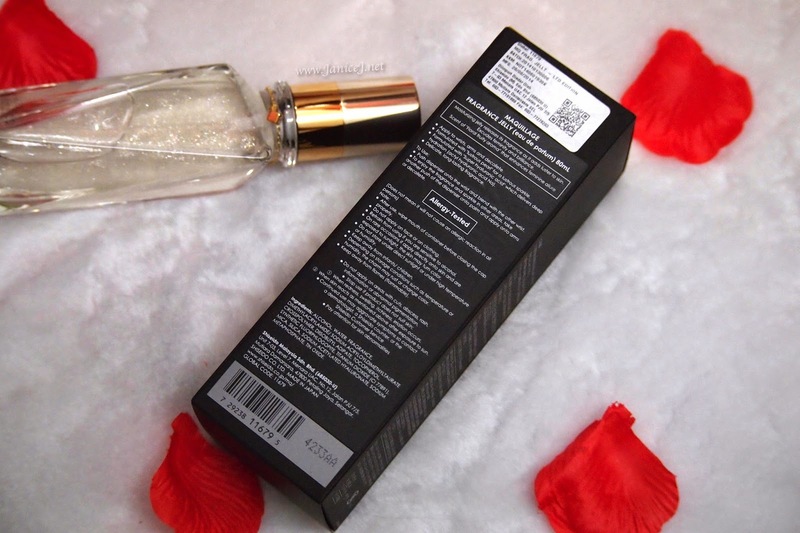 It is really pretty and will definitely make you centre of attraction with the packaging. The only set back of it is there is no refill for your pretty case. Yes. How sad. 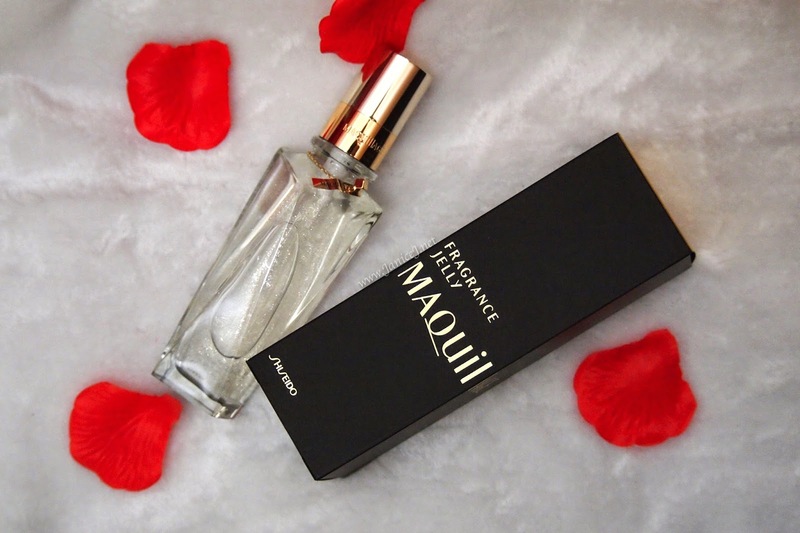 Comes with the best buy set is the Maquillage Perfume Jelly 80ml. The smell is quite mature, and will make a perfect gift for the mothers. I personally love the fine glitters inside the gel jelly. It is also my first time using perfume jelly, quite a new thing for me. However, the product has a really strong alcohol smell upon applying. The smell fades after awhile. It is kind of lasting as the name of Eu De Perfume suggests. Another thing that comes with the set is the eyeshadow. The colour is quite neutral. I have yet to open it so I can not comment much on it but a separate review or tutorial will be up later on. This set is great for gifting, especially for Christmas gift exchange. Whitening powder for the girlfriend, perfume jelly for mother, eyeshadow for sister maybe? The set is limited so act fast before they runs out (I'm sure it will be fast!). In case you are wondering about the price, it is RM280 and I am sure that you can get them from any Shisheido counter. 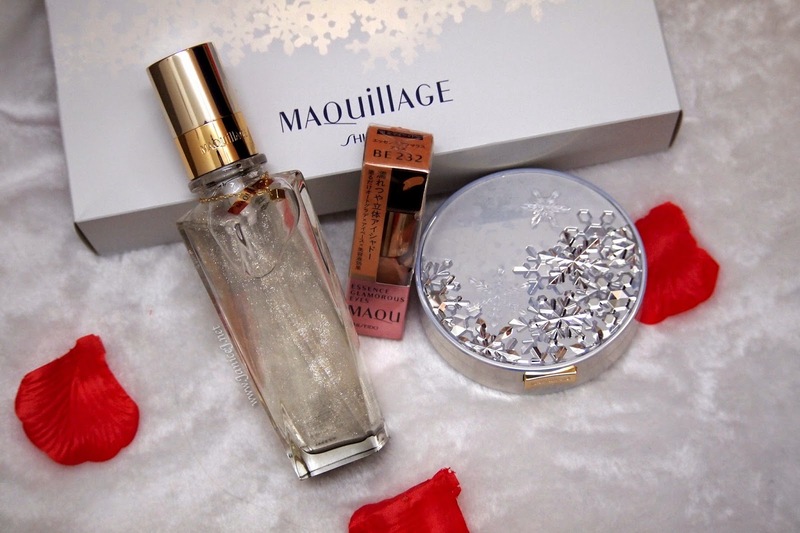 Not too bad for the price as you get a 80ml perfume gel and eyeshadow along with the beautiful snowflake face powder.